New York States’s highest court has ruled that cities and towns can be held legally accountable when dangerous streets are not improved via better design. In December, the New York State Court of Appeals decided a case in favor of Anthony Turturro, a 12-year-old who was stuck in 2004 by a driver traveling almost double the speed limit in a 30-per-mile-hour zone. Turturro, Streetsblog NYC reports, was riding his bike on Brooklyn’s Gerritsen Avenue, a wide main street where, locals say, drivers disobey posted speed limits with impunity. The driver, Louis Pascarella, put Turturro in a coma; he subsequently pled guilty to assault. Citing in part the poor design of Gerritsen Avenue, a jury found the city 40 percent liable for the incident and awarded $20 million to Turturro, whose everyday functioning is diminished as a result of the crash. The case contended that despite years of complaints, the DOT didn’t do enough to remediate underlying conditions that led to Turturro’s—and others’—injuries. 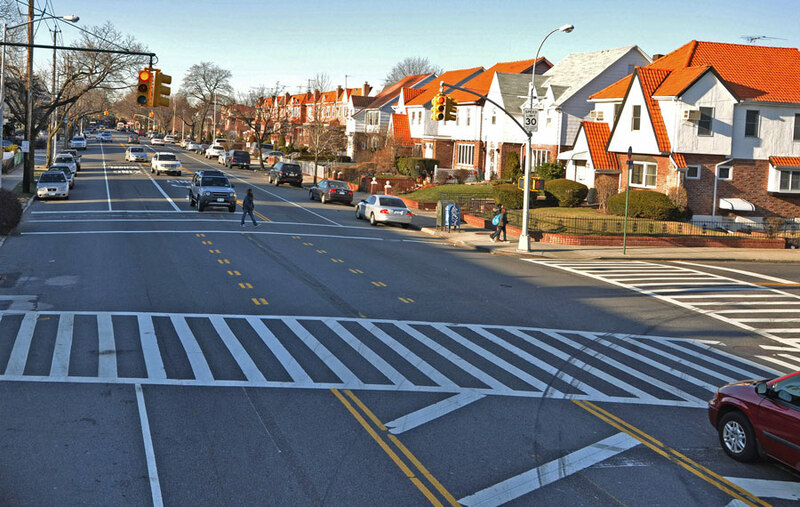 Though the DOT initiated traffic studies at three intersections in the years after Turturro, court documents show that speeding along the wide-open avenue as whole was not studied, and that the city declined to follow up with the NYPD on the speeding issue. In the past decade, four people have been killed on the avenue, which connects the small neighborhood of Gerritsen Beach to neighboring Marine Park and Sheepshead Bay. A year after Tuturro’s encounter with Pascarella, the city unveiled a painted median near the crash site and downgraded Gerritsen from four lanes to three. “This ruling from New York’s highest court puts an end to the notion that traffic safety improvements should be subject to debate and contingent on unanimous local opinion,” Transportation Alternatives executive director Paul Steely White told Streetsblog NYC. The decision, he added, should convey to Mayor Bill de Blasio that street safety redesign must be a bigger part of the city’s next budget. For the past two years, the mayor’s office has butted heads with the City Council on funding for Vision Zero initiatives. This past fall, the city began installing pedestrian islands and a protected bike lane along Gerritsen.